Imagine contact lenses changing their colours and acting as drug delivery agents. That is exactly what scientists have come up with to deliver drugs and monitor eyetreatments, thanks to this group of geniuses from China Pharmaceutical University and Southeast University in China. 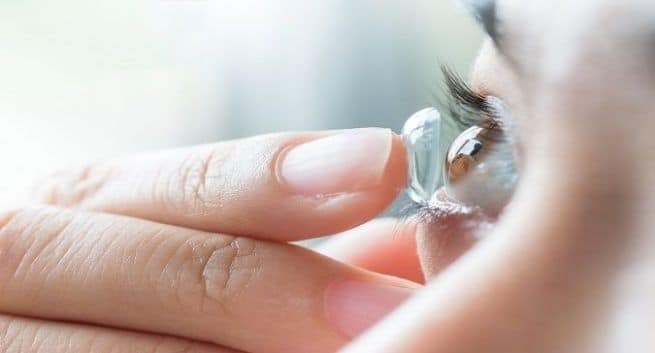 They tried to create a drug-delivering contact lensthat would change colour indicating that the drug has been successfully delivered, highlighted a recent media report. The study that appeared in the journal ACS Applied Materials and Interfaces showed that this lens could control and point out at the sustained release of many ophthalmic drugs. This novel lens will sort out the challenge that doctors face on knowing how much medication is actually getting into the eye while administering eye drops and ointments. This challenge, according to doctors, is because the eyes tend to reject foreign elements and tears start flowing when something external goes into the eye. Although this process is great in terms of avoiding eye infection, it can prevent the up-take of much required medication. Contact lens do help doctors overcome this challenge and is an appropriate way of delivering drugs. However, the real-time monitoring of drug disease still remains a concern. The researchers used molecular imprinting to fabricate a colourful-sensitive contact lens. Molecular imprinting is a technique creating molecular cavities in a polymer structure, matching the size and shape of a specific compound like a medicine.